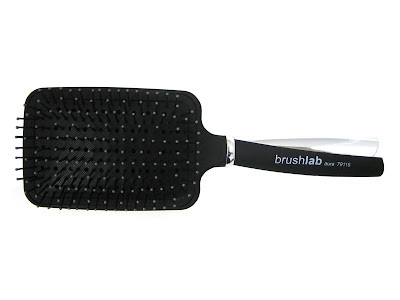 Remember that time I admitted I was in love with a hairbrush? Well, I wasn't kidding. I love this brush. I even brush Emily's hair with it because it doesn't get caught and snag in her tangles. Unfortunately, Emily decided it would be fun to drop said brush into the toilet. Sad, sad day. I posted on Brushlove.com's facebook page (yes, I "liked" their page on facebook- told you I was in love) telling them what happened and one of their representatives replied and was sympathetic with my sad story and told me to email them at such and such to replace it. Of course, I did. 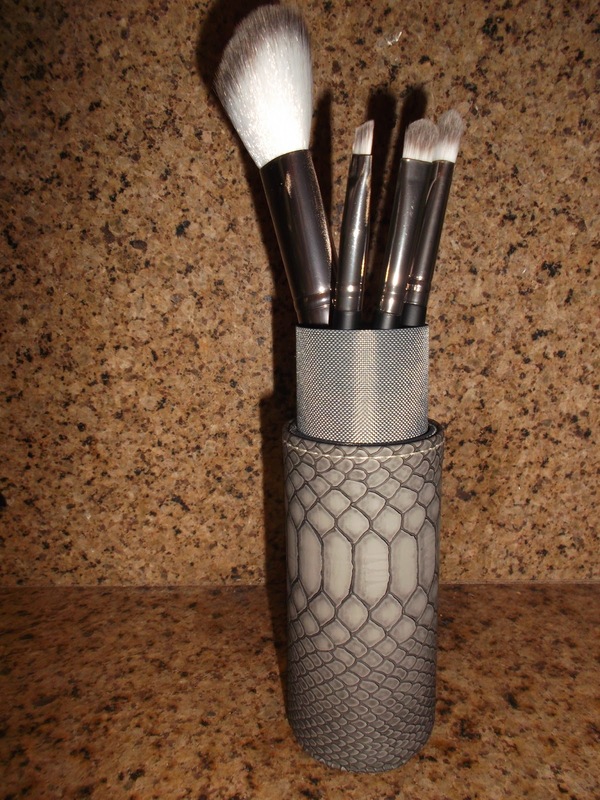 I also threw in the fact that I blog and if they happened to send me one for free I would talk AGAIN about my love for this brush ;). And they did!! Ahhh the perks of being a blogger!! But not only did they send me the brush, they also sent me this really pretty compact mirror that has a regular mirror on one side and a magnified mirror on the other. I love it! The rhinestones on the top are SO me. 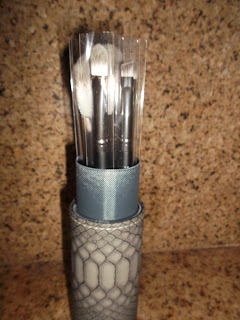 Brushlove.com also sent me a travel case with a bunch of makeup brushes inside! How nice is that?! I love it! 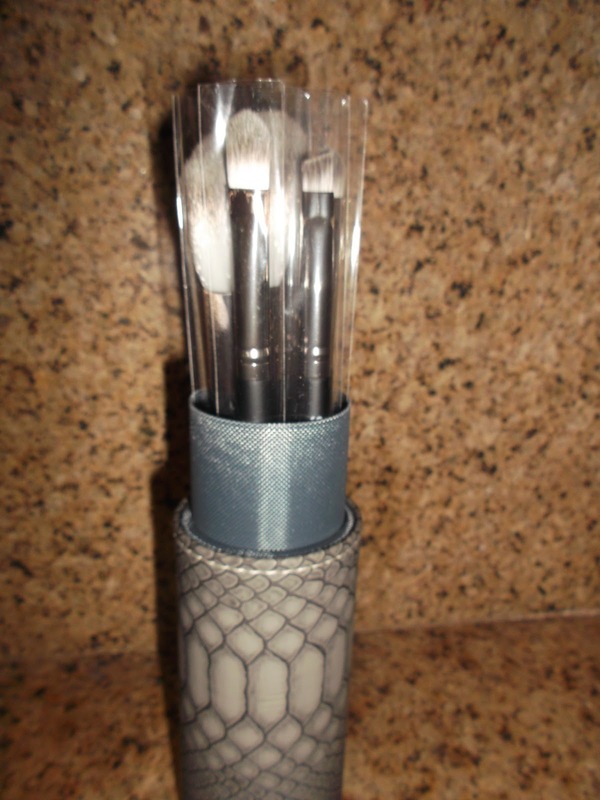 And the brushes are really soft and work great too. 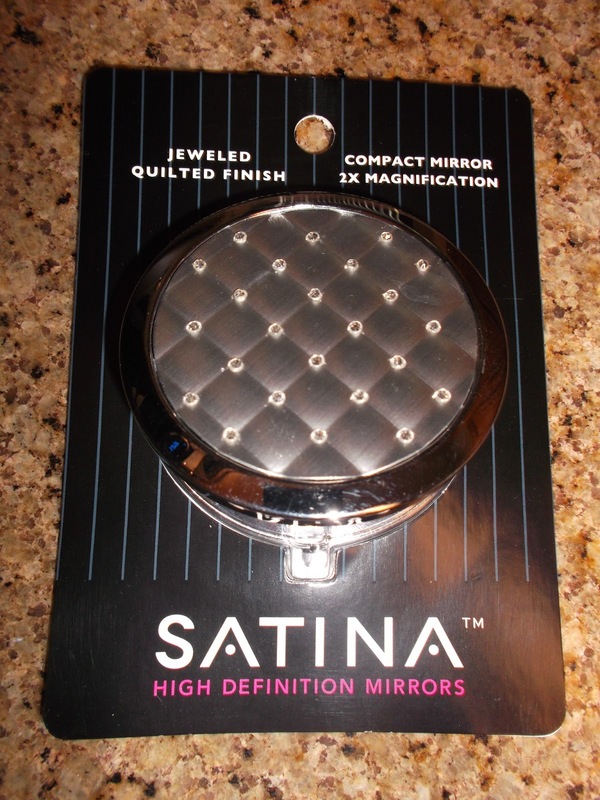 I definitely recommend this company!! 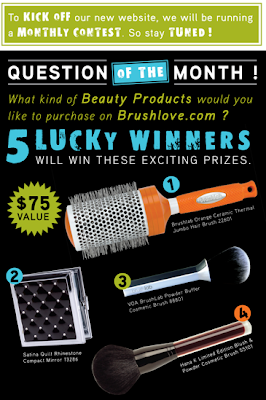 Brushlove does a monthly contest where five winners can receive prizes that are worth up to $75! I have no clue what half the makeup brushes are for lol. I don't even use a hair brush anymore, I just run my fingers through it once after it's dry and I'm spent. I'm the worse girl ever. I've never heard of them! I can't believe it took a dive into the toilet. Eek. So glad you got a replacement! Heck yes!!! Like you said, the perks of being a blogger! Glad you got "your" brush plus all those other goodies!! High five!